How do you experience space? 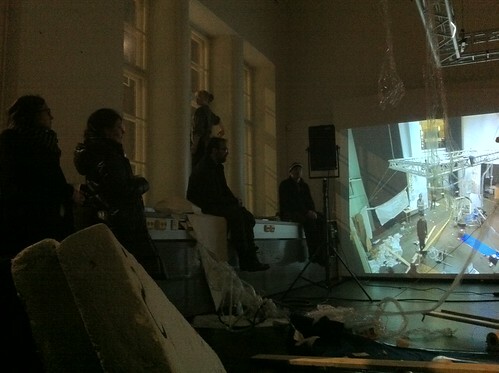 Kaiku-gallery at the Finnish Academy of Fine Arts will become a process-space during the final weeks of January. Visitors to the exhibition are invited to modify and change the space according to their own tastes. There will be materials available at the gallery but visitors can also bring their own materials. The process does not have a defined objective, neither does the outcome need to be called a work of art. 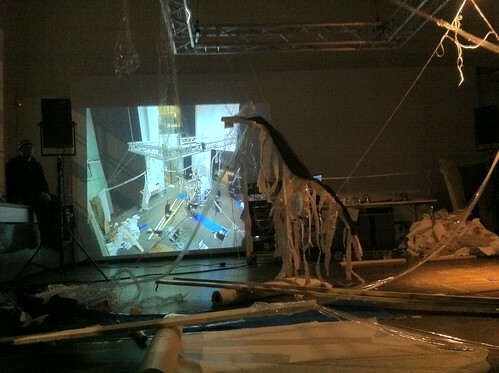 The aim is to investigate organic spontaneous ways of expression and different ways to approach space. Signification, meaning and sense will be constructed as the space transforms. This will be achieved through presence in the space, via participation and as a result of how we think about the space. The space and the process is open for all visitors. 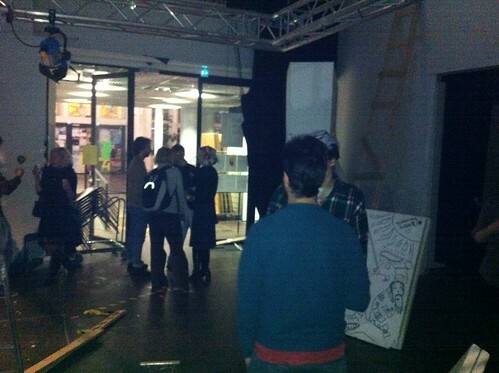 Over a period of ten days the process of the space will be documented with a time-lapse-video, which will be viewable as a collage of the process at Kaiku-gallery during 28.-29.1.2012. Workshops as part of Space is the Place will be organized for students of the Fine Art Academy in the process-exhibition. A series of public lectures will be held in the auditorium that will, among other themes, address various aspects in connection to spatial experience. Opening on Wednesday 18.1., 5-7 pm. 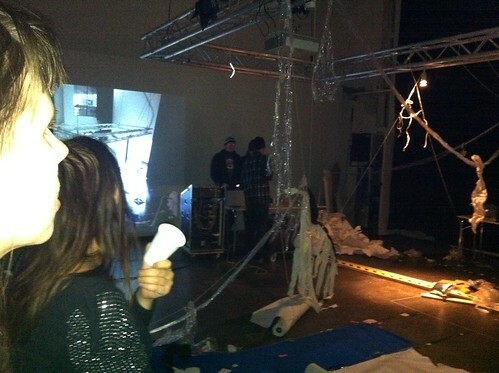 Performing: Tomplex feat Senqi + Mikke + VJ Random Doctors. Closing event on Friday 27.1., 5–7 pm. Performing: DJ Sternfeld feat. Senqi & Samuli Peltoniemi + Ellen Jeffrey. Space is the Place zine This zine was the result of the Space is the Place exhibition at Kaiku-galleria, Kuvataideakatemia, 19-29 January 2012. Various materials were collected documenting and responding to the process exhibition, which were then assembled into this limited publication. The zine was edited by Maria Kaihlanen, Emily Hart, John W. Fail and Sari TM Kivinen and features contributions by Lisa Erdman, Aino-Marjatta Mäki, Amal Laala, Sara Pathirane, Karoliina Hellberg, Jari Koho, and Tiina Remes.